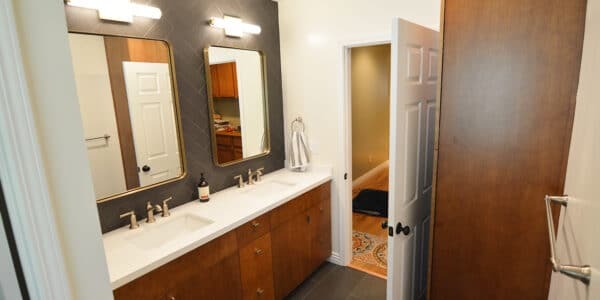 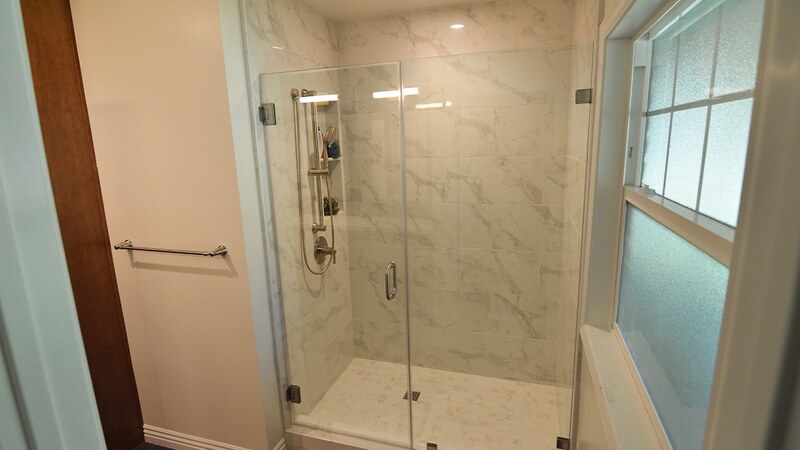 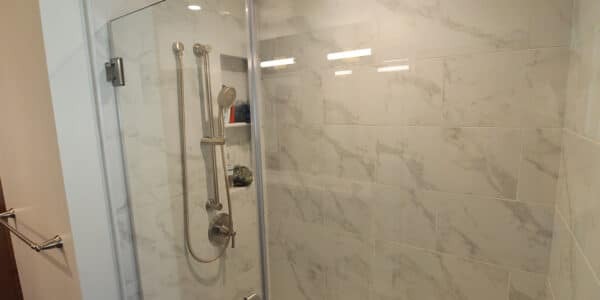 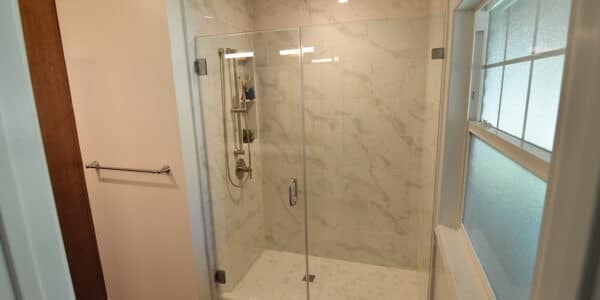 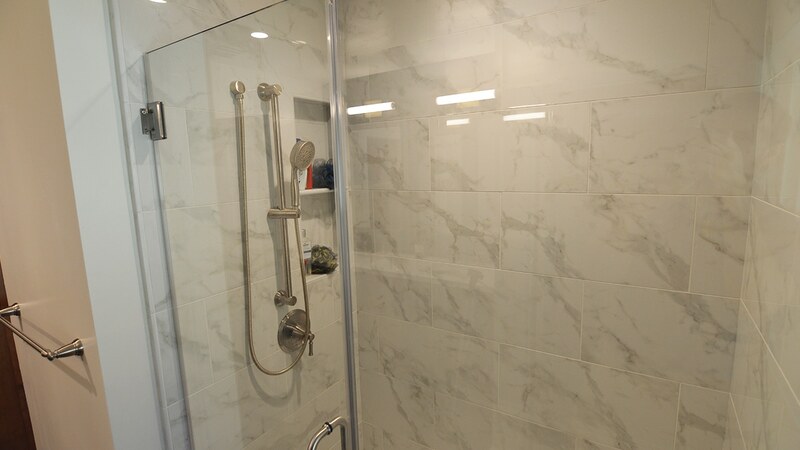 Project Features: Slab Cabinet Doors, Herringbone Backsplash to Ceiling, Marble look porcelain tile in shower, concrete look porcelain tile at floor and laundry roll out. 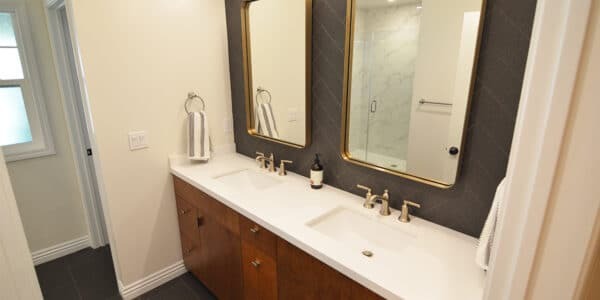 This eclectic modern design features a flat door in a chicory stained finish, contrasted by stark white quartz countertop. 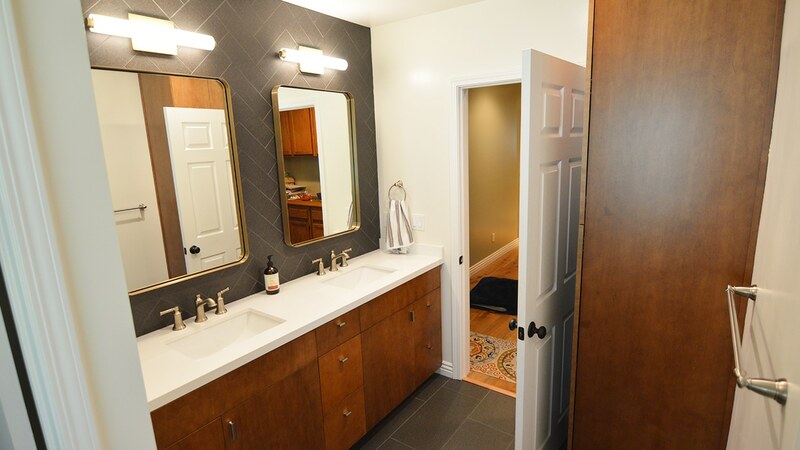 Two square under mount sinks with brushed nickel hardware. 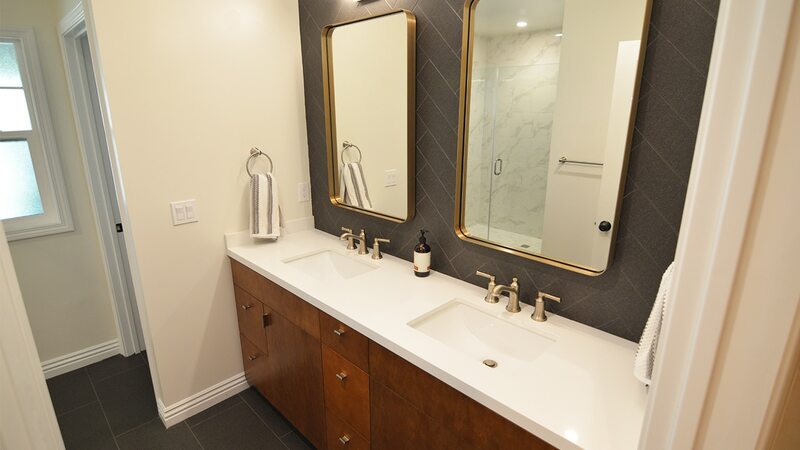 Herringbone back splash tiled to the ceiling, with a concrete look porcelain which coordinates with the floor. 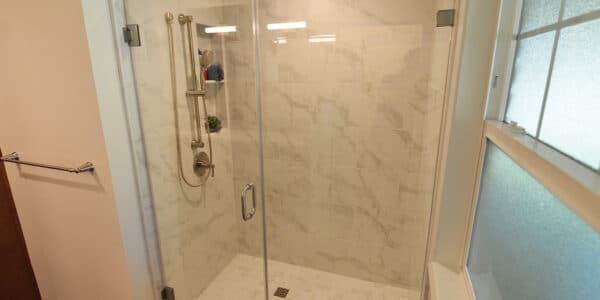 The shower is tiled with a classic and understated white, marble looking tile to keep the space feeling open and elegant. 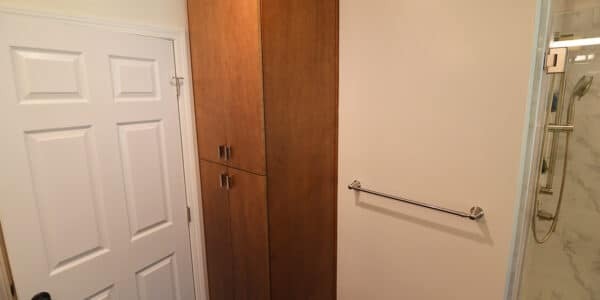 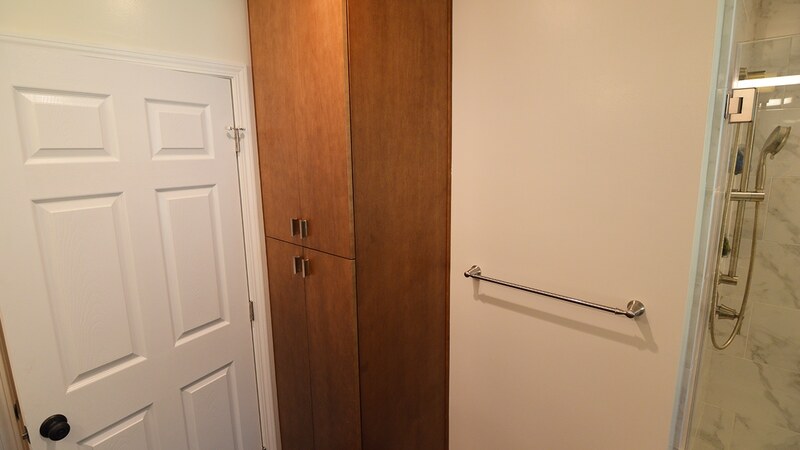 A water closet was built to give separation and privacy and a hidden laundry roll out was incorporated for functionality.